History repeatedly proves: for those who are master of their energy it is possible not only to survive but to prosper in all economic times. Whether rowboat or yacht, these days it seems everyone’s vessel has a leak. If you're prepared for difficult economic times, and have the right tools, there is no reason to worry about your financial future...except worrying is human nature, so we still do. And if you're not prepared, the pressure crushes with a tidal wave of anxiety and fears. Fear around money seems natural, even smart. But does it really help? It's just not true that if you just work really hard, you'll have all you need. If it were, then those who work the hardest would have the most. There must be something else to the equation, and there is. That something is the vibrational frequency of abundance, allowance, acceptance. So what's the "secret" reason all those books and seminars, and all the hard effort and long hours haven't really worked? Stuck energy. The energy of negative emotions denied, held onto and ignored. The energy of unsupportive beliefs. The stagnant energy causing the inability to act or to take effective action. Stuck energy that causes repeated ineffective or destructive patterns creating lack-filled results. We don't need another involved how-to program. The basic techniques for making and saving money are simple and really don't change. What we need is to re-learn how to access and use our natural atility to release. Then we can release the emotions and thoughts that keep us in a never-ending pattern of being unable to do what works and even worse, engaging in destructive behaviors. Once we can release on command any thought or feeling that keeps us from doing what works, we'll not only begin doing what works, but it'll become our new habit! 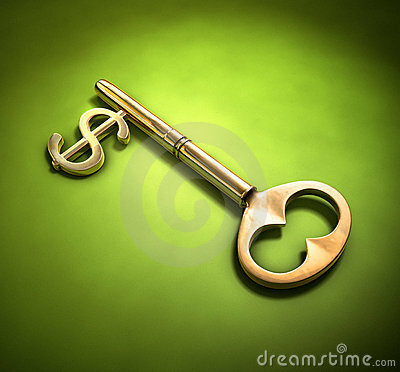 The real key to unlocking our own Financial Freedom is to clear out our stuck energy. The truth is no matter how many books you read, courses you take or hours you work...unless you are clear of the stuck energy caused by negative emotions, thoughts and beliefs...financial freedom will always be just out of reach. With intense force - working long hours, sacrificing and struggling, you may indeed create a small nest-egg, the ability to "manage" your credit and an acceptance of what has to be. But underneath all that struggle and denial are the feelings, thoughts and beliefs that keep you struggling while others are comfortably building true financial security. It's not that they don't work hard, put in effort and have frustrations too. But their work moves them forward, their effort produces results and their frustrations bring them to new levels of understanding from which even more wealth can be created. For those who maintain a vibrationl of abundance, their efforts are energizing, invigorating...not draining and defeating. Their vibration is in harmony with abundance, financial freedom and so that is what they experience in their current and future reality. And the best secret of all: clear your stuck energy and all that information you worked so hard to learn will shift into overdrive! The investment you've already made learning to manage and build your finances is not a loss, it's ready to be accessed...as soon as you are clear! The vibration of abundance works under any circumstances, in every industry and for those who are willing to leave the generally accepted and seemingly natural paradigms behind to embrace what the masters have known and taught throughout the ages. In fact, just as in the Great Depression, Millionaires are being made right now and you could be one of them. During the great depression, astounding fortunes were made by many. Some rich families dramatically increased their fortunes, but more importantly many ordinary citizens found a way to not only survive but thrive during a poor economy. But in good economic times or bad, being financially independent or truly wealthy, is something most of us just dream of, never really believing we can get there. And we’re right, we can't get to a new place with our old patterns. Not with our stuck energy and unsupportive energetic patterns. No, our reality is no matter how hard we work or dream, “something” always gets in the way of our creating financial independence. Unexpected bills, unplanned lowering income, a financial industry crisis...it seems however ahead we get we can never become financially free. The reason is because we are simply living in the vibrational frequency of lack. It’s difficult to hear and understand given our current situations, both personal and global. But the truth is Lack is a false impression. Lack is a man-made concept. We were all born into the same world, a world with ample air, water, room to grow and thrive. As we developed, it was man that created boundaries, systems of exchange such as money and trade. While abundance is our natural state, just think about it: even on the very first day that money was printed along with that first new bill we also created a lack of them, and a lack of the value backing this wonderful new tool. In order to live with the reality of lack, we’ve had to embrace another false idea, that there is virtue in being without. Virtue, however, has little to do with being without but rather with a sense of respectful gratitude no matter what the circumstances. While lack is a false idea, and Universal Laws are powerful, Living Harmony takes a unique position that differs from the majority of today's self-proclaimed manifesting experts. It’s true that envisioning and directing our energies is important, too many find themselves on an increasingly frustrating treadmill of visualizing and affirming all while growing anxiety and resentment when their circumstances either don't change or get worse. We simply can't sit on the couch and meditate our way to wealth. We don’t yet posses the ability to wish things into being. Instead, we live in the tangible world. Which simply means we are energetic beings having a physical experience. One without the other doesn’t produce successful results consistently. When we are finally able to harness the power of all our resources, we can succeed so gracefully, seemingly easily and magically. We simply exist in a vibrational frequency of abundance magnetizing to ourselves our prosperity in all areas of our lives. Living Harmony's Financial Freedom program provides the formulas, tools and techniques to not only bridge the gap between the energetic and physical, but more importantly to manage the single most important part of manifesting: the in between! It's the moments after we decide our dreams that either support their coming true or not. ▪ begin directing ALL your energies on the what, how and why things actually DO work...so you too to work less, with less effort...and far more productively and profitably! In June 2008, more people reported physical and emotional symptoms due to stress than they did in 2007... as a result of stress, in addition to other symptoms including lack of interest or motivation, feeling depressed or sad, headaches and muscular tension. Women were more likely than men to report physical symptoms of stress like fatigue (57 percent compared to 49 percent), irritability (65 percent compared to 55 percent), headaches (56 percent compared to 36 percent) and feeling depressed or sad (56 percent compared to 39 percent). Almost half of Americans (48 percent) reported overeating or eating unhealthy foods to manage stress... Women were more likely than men to report unhealthy behaviors to manage stress like eating poorly (56 versus 40 percent), shopping (25 versus 11 percent), or napping (43 versus 32 percent). Almost one-fifth of Americans report drinking alcohol to manage their stress (18 percent), and 16 percent report smoking. Are you sick of having no money? Or is having no money making you sick? Living Harmony”s Creating Financial Freedom program is the result of my work in creating not only my own personal financial freedom paying overwhelming and daunting bills resulting from my injury and starting my own business from scratch, but in creating financial freedom for my clients, family and friends. My absolute favorte result is the sure knowledge that I no longer trade my hours for dollars, a freedom from the prison of having to work more hours for more dollars! We’ve all changed our personal situations – some more astoundingly than others – but all with substantial increases in cash, property, security and peace of mind. Some have achieved their ultimate goals while still others are still working at their dreams – but everyone who has followed this program have increased their abundance and available cash dramatically. Working on a weekly basis, in conjunction with tangible and practical support, clients experience clearing and reprogramming in the areas of their subconscious that block and impact their success and abundance. Each week, we work to build the supportive tools necessary to clear the internal blocks that actually keep your success and profits away. It’s not unusual for clients to report increases in income, unexpected savings in discounts and gifts right away. The rewards for working on your financial vibrational frequency are amazing and can be incredibly immediate. Whether you own your own business, work for a salary or hourly wage, or even if you are a stay-at-home parent living on a single income, clearing your own stuck energy causes ripples of abundance throughout your life affecting every area and everyone. It's not unusual for a husband to work on her energy, and report back that his wife was unexpectedly promoted with a nice salary increase. And it's a happily often reported result that a business owner who's worked on her own personal finances finds her sales force landing bigger and more profitable sales. Unless you are happy with the way your finances or business are going and are sure to meet, or exceed, your financial goals all the hard work in the world will not be enough to help you finally reach financial freedom. What’s more...our financial image often reflects other areas of our lives. Bringing into balance our sense of deserving, worthiness and balancing all our energies often has tremendous impact on our overall health, weight issues, relationships...the rippling effect is far reaching, just as a single drop of water changes the entire body, so does clearing your emotions and thoughts about abundance ripple through your life! Do you need personal attention? Or can you really change with a home-based program? Both can be incredibly effective. Only you can answer that question for yourself though. The answer will be clear: if you've already spent money on books and seminars, countless hours of frustration and sleepless nights full of worry, it's more than likely that you can't see your own forest for your own trees. Though individual sessions may cost you more now, the abundance you create will more than make up for it. In fact, most of my clients see their investment returned to them in a matter of months and often 10 or 100 times their original cost. Read the testimonials if you'd like to see some real-life results. Or just ask yourself if you are wiling to keep wasting your money and any more of your precious time. With this Living Harmony program, you can easily clear the blocks that will and can keep you from the reward you deserve: Financial Freedom! PROGRAM COST: 10 weekly sessions plus daily email support, $975. Get started creating your own Financial Freedom in Living Harmony now! Note: If you would like to take the program but need to pay for the program in installments, please email me and we’ll work together to find a way that works best for you. The need for learning these tools and my Living Harmony formulas, especially in times like these, is so great and I’m so honored to be able to help people clear away lack energy so they can finally create and accept their true abundance that I’m always willing and happy to work with anyone as best as I can so everyone can begin creating their own financial security in Living Harmony.